This year there’s no unanimous winner. The rising tide of the 450 class has brought all six bikes to the highest level ever. 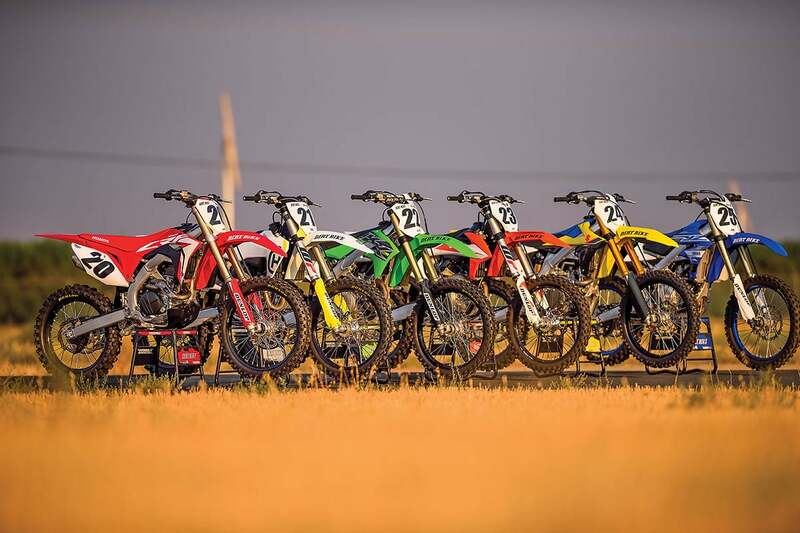 No two Dirt Bike test riders ranked the bikes in the same way. In fact, five different bikes got at least one vote apiece for overall winner. In the end, bringing order to the chaos wasn’t so hard. Even though the riders ranked the bikes differently, they all said almost the same things. They just had different priorities, based on skill level, type of riding and, not surprisingly, what bikes were in their own garages at home. Here’s how it came out filtered for the mainstream rider. This isn’t as big an upset as it seems. 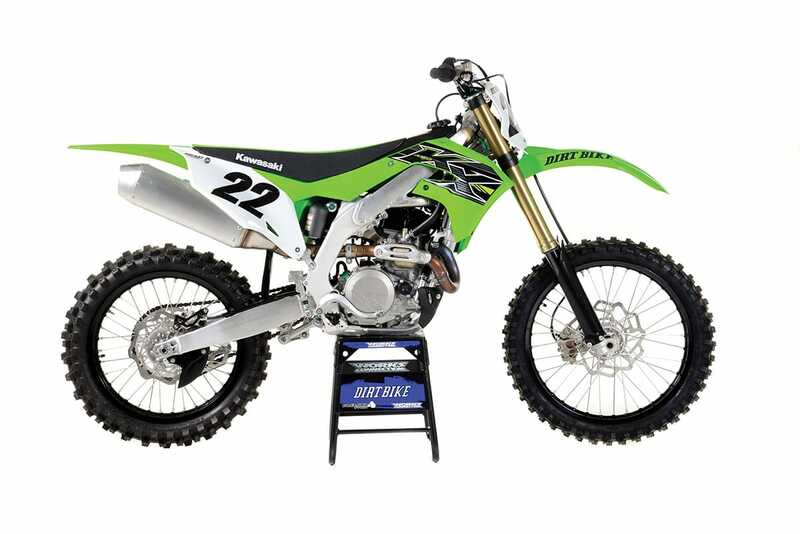 The Kawasaki has always been a secret favorite among Dirt Bike editors, even in years when other bikes—or more specifically, the KTM—won. It was simply disqualified time after time by spotty failures, its ludicrously complicated air fork, its lack of electric start and its weak brakes. All those things were corrected, and then Kawasaki just kept going. The hydraulic clutch was the icing on the cake. Even though the KTM doesn’t win for the first time since 2016, this year’s 450 shootout is still a kind of victory for the Austrian company. 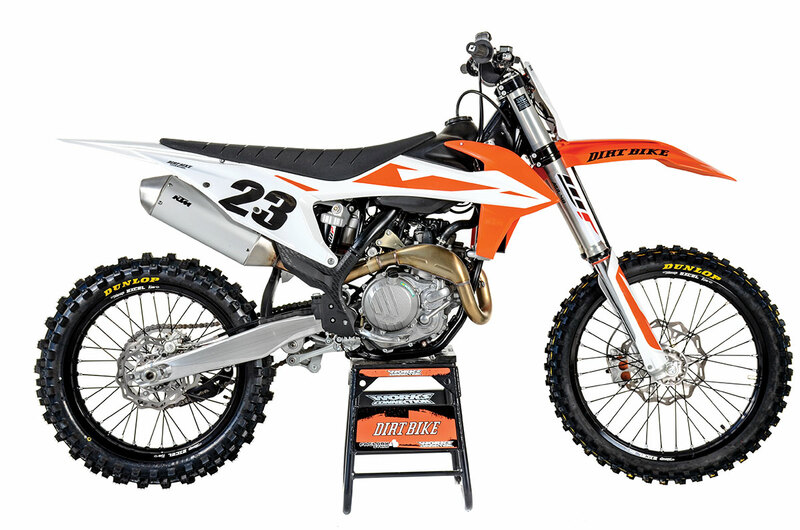 KTM was the force that made all the other manufacturers up their games. If not for KTM, Japan’s bikes would still have kick-starters. They would weigh even more, and motocross would still look much the same as it did in 2010. 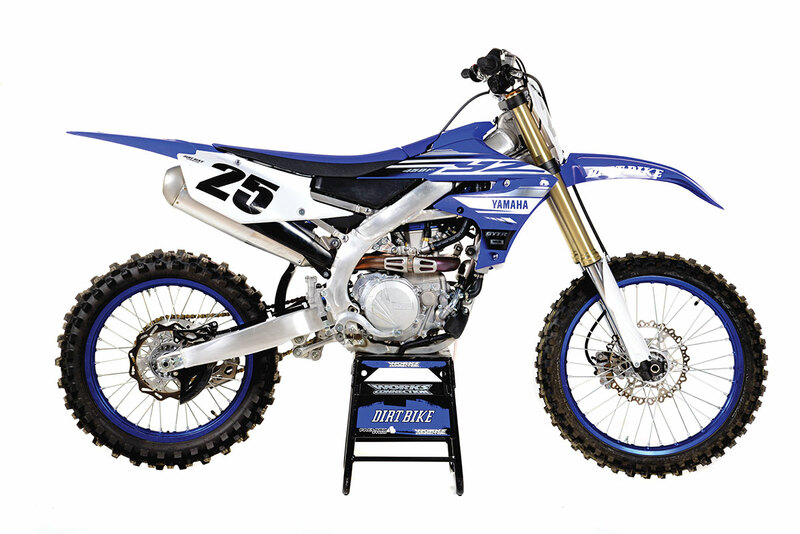 The newest 450SX-F is still the fastest and the lightest bike on the market. 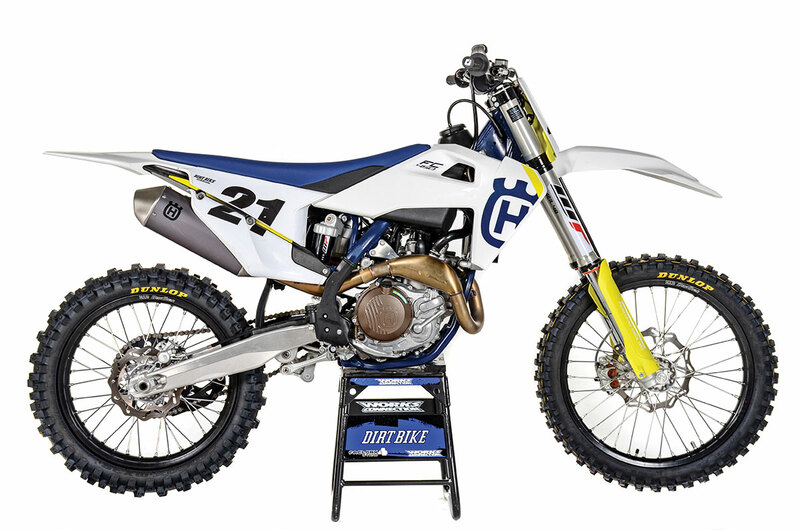 There are a lot of differences between KTMs and Husqvarnas. The bikes have a different look, a different feel and a different identity. 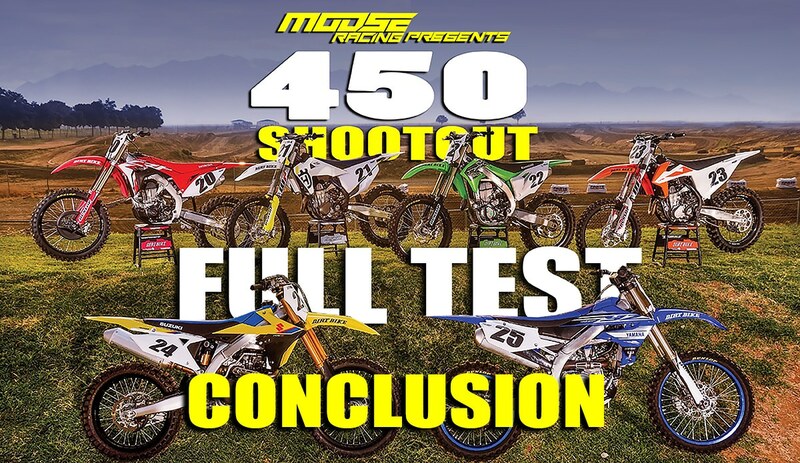 On the track, however, those differences aren’t enough to separate the KTM 450SX from the Husqvarna FC450. Being different doesn’t make one better than the other, and at the end of the day, they have the same frame, the same motor and the same suspension. The Husky finishes third only because it’s a little less aggressive, although, for some riders, that might make it a better bike. We pride ourselves on having consistent results from year to year. In the 2018 Dirt Bike 450 shootout, the Yamaha finished fifth, so how does it move up a spot with so few changes? The changes that Yamaha made to the front wheel gave it much more stability. Second, we know the bike better now. Our complaints last year turned out to be easily solved. Most riders simply install lower bars and a taller seat. 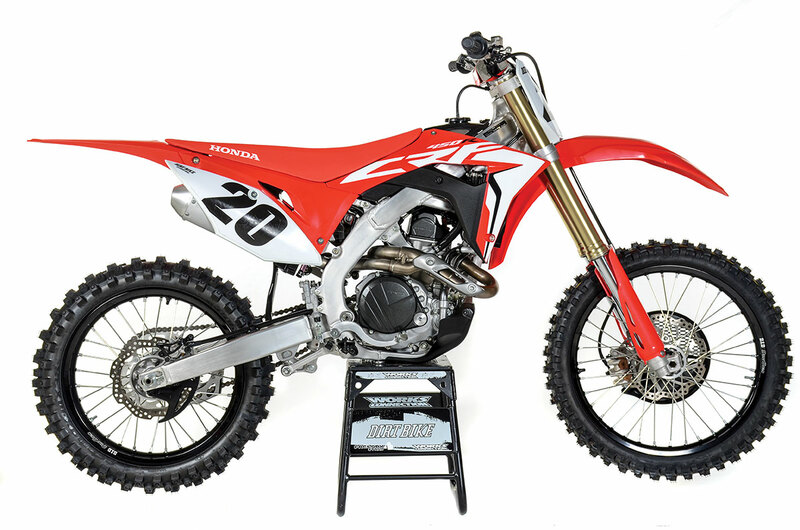 The Honda is another bike that generated much turmoil in the Dirt Bike polling booth. So much about the bike is spot-on. But, it’s not an easy bike to ride. It’s a high-end piece of racing hardware meant for very experienced riders. If you’re on top of your game, it couldn’t be better. But, you better be good. Life must be good in the motocross world. 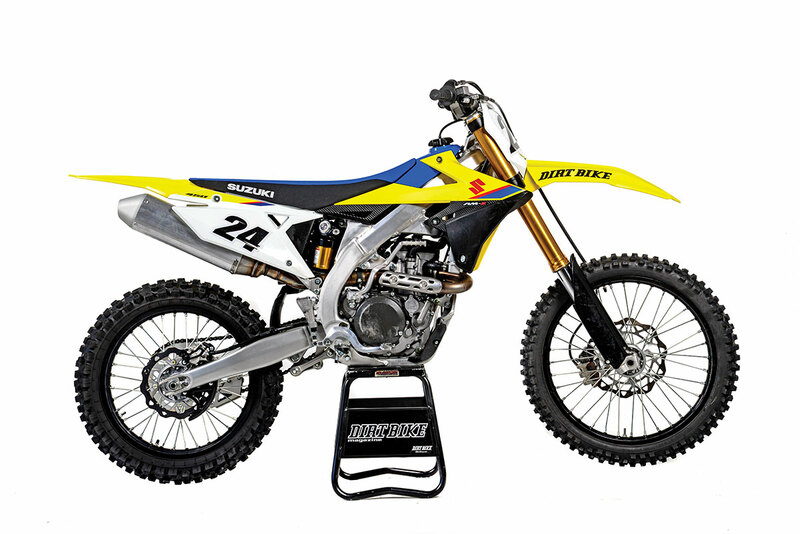 Look at the Suzuki RM-Z450. It finishes in last place in the Dirt Bike shootout for the second year in a row. Yet, it can be taken straight to an outdoor national, and with amazingly few changes, it can finish in the top 10. This has been proven week after week on the national stage. 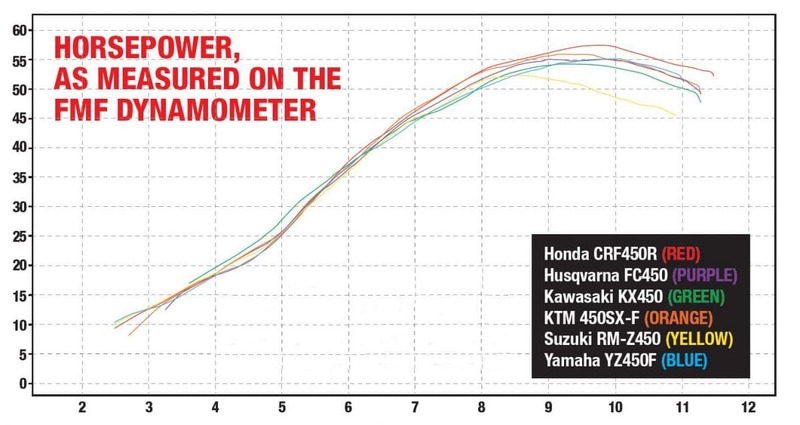 The Suzuki is a known quantity in the pro ranks, even if it lacks curb appeal for the average rider. There’s much to be said for a bike you can count on.